Major Global Player in Resources Sector - Zelda Recruitment & Job Agency | Brisbane | The best jobs in Queensland. A major global player in the resources sector with a substantial Queensland investment and a Brisbane executive hub. 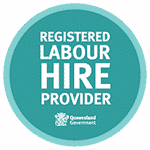 Ongoing diverse human resource requirements in the Brisbane city office for contract only project personnel. Our client, working exclusively with Donna Hanson to deliver on their requirements, understands the immense value of her expertise in this area. Donna’s ample track record in ramping up projects comes to the fore as Donna understands rapid response times and the style and competencies the talent requires. Donna has been working in her specialist market for 25 plus years and her extensive database of fully validated candidates is critical in the delivery. Donna delivers! Donna really knows all the candidates and often we find they have worked with her on previous projects. Donna is the ‘go to person’ for resource projects and her understanding of the demands of a project environment and all it entails is extremely valuable.